The field of interventional radiology is a highly technical specialty that in recent years has become increasingly focused on the clinical management of its patients; indeed, a historic transformation is taking place, and now, not only are IR physicians demonstrating great skill in minimally-invasive procedures, but they are also taking perioperative responsibility for their patients by admitting them to the hospital, performing rounds, and seeing patients outside the hospital for consultation and management issues (Murphy & Soares, 2005). However, IR has not always been so focused upon the clinic, and so in this and many other ways, IR began as something entirely different than what it is now. It’s an exciting time to be a part of IR, but understanding where we’re going requires knowing where we’ve been. In 1953, Seldinger introduced his method of gaining vascular access via needle and catheter, and this idea is still a core principle of IR today. This technique created the field of diagnostic angiography, but remained confined to the field for 11 years until radiologist Charles T. Dotter realized the implications of gaining this vascular access, and in 1964, performed the first IR procedure. The procedure involved serially dilating atherosclerotic lesions in the femoral artery of an 82-year-old woman suffering from painful leg ischemia and gangrene, but who refused leg amputation. Dotter’s surgical colleagues believed the artery would eventually thrombose and hospitalized the patient for several weeks for observation. However, to their surprise, her pain resolved, she began ambulating, three gangrenous toes sloughed, and she eventually walked out of the hospital. The dilated artery remained open until the woman died from pneumonia two and one-half years later (Rösch, Keller, & Kaufman, 2003). And so the field of IR was born, and Charles T. Dotter named its father. In the years following, Dotter would perform the same procedure on hundreds of patients, and the published details of his success began a wave of interventional innovation that continued through the mid 1980s. Techniques grew from Dotter’s first procedure, then called percutaneous transluminal angioplasty, to many different treatment modalities throughout the vascular system, including arterial embolization/thrombolysis, tumor treatment, the placement of stents or stent grafts, transjugular intrahepatic portosystemic shunt (TIPS) and direct intrahepatic portal systemic shunt placement, as well as many other vascular techniques (Rösch, Keller, & Kaufman, 2003). Much of this innovation occurred alongside an increasing availability of cross sectional imaging, no doubt playing a large role in IR’s rapid growth during this time (Rösch, Keller, & Kaufman, 2003). Eventually, IR’s applications expanded beyond the vascular system, crossing over into the biliary, gastrointestinal, genitourinary, and central nervous systems. For a more extensive review of the history of many of these pioneering procedures, please see Rösch, Keller, and Kaufman’s work referenced below. Unfortunately, the promise of IR’s “golden years” was followed by a time when IR practitioners saw many of the procedures they had pioneered themselves “taken away” from them by ambitious men and women in specialties such as cardiology, vascular surgery, and gastroenterology. The general consensus about why this happened revolves around IR’s lack of action in taking responsibility for the clinical management of its patients (Rösch, Keller, & Kaufman, 2003)(Murphy & Soares, 2005), but many factors were at play. Therefore, not only was there a financial deterrent for radiologists to clinically manage their patients, but there was also a financial incentive for specialists from other fields to include interventional techniques into their practice. The third factor involved patient referrals; because primary care physicians “are not qualified to evaluate the appropriateness of indications for interventional procedures, often do not understand the natural history of the disease as well as interventional practitioners, and justifiably are loathe to admit patients in the hospital and manage complications from procedures they poorly understand (Murphy & Soares, 2005),” patients needing IR treatment were referred to physicians who could manage them. 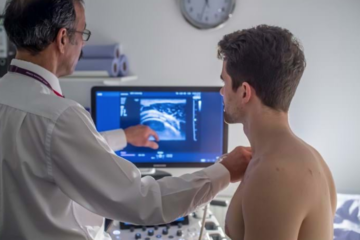 However, because IR passed off the clinical management of their patients to physicians in other fields (cardiology, vascular surgery, gastroenterology, etc), these non-IR physicians were able to establish a connection with primary care physicians for these patient referrals. As early as 1968, Charles T. Dotter cautioned, “if we don’t assume clinical responsibility for our patients, we will face forfeiture of our territorial rights based solely on imaging equipment others can obtain and skills others can learn (Murphy & Soares, 2005).” Unfortunately, the three factors mentioned (lack of a financial incentive for IRs to clinically manage their patients, presence of a financial incentive for other fields to perform interventional techniques, and patient referrals going to physicians from other fields) combined to create a “perfect storm” scenario, and the effect of this scenario was to tragically push IR out of performing many of the procedures it had pioneered itself. While the loss of these procedures is still a sore subject in IR and “turf wars” are constant, excitement is buzzing around the present state of interventional radiology, and for good reason. Currently, conversation across the field of IR is centered on avoiding the reiteration of history; IR practitioners are being encouraged to change their practice model to include the clinical management of their patients. Some are resistant to this change, as radiology groups are often contracted with hospitals to receive exclusive rights to patient access, and to adopt a clinical practice model would be to give up these exclusive rights and allow additional groups access to hospital patients, increasing competition. While this seems like a no-brainer for groups that already have exclusive patient access, competition will always come from somewhere, whether from IR colleagues, or competitors in other specialties. For the sake of patients and the field of IR, it is better to open access to IR groups and provide skilled care from competing IR physicians than to continue to hemorrhage procedures and patients to physicians in other fields (Murphy & Soares, 2005). Many IR groups have already caught this vision, and reformation is fast underway. Extending the opportunity of IR to greater numbers of patients and potential practitioners has also been a present emphasis in the field of IR. One of the largest efforts in this area occurred in the successful approval of an IR/DR Primary Certificate in 2012, setting Interventional Radiology apart as a distinct specialty (Hol, 2013). This is a critical point in the history of IR, as it establishes the field as both a procedural and clinical specialty, and will help produce physicians who are not only experts in procedural and diagnostic radiology, but who are also competent clinicians. Currently, the path to practicing as an IR has involved a transitional, medical, or surgical internship year, followed by a four-year diagnostic radiology residency and a one-year IR fellowship. However, many institutions have plans for their IR residency program underway. Three programs are already interviewing applicants, and the rest will have converted to the IR residency by 2022. With the approval of this certificate, the importance of reaching out to future IRs is greater than it has ever been before. 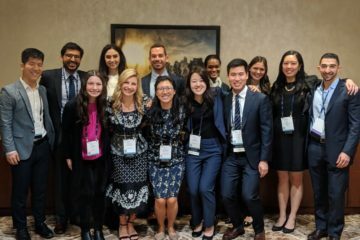 Consequently, the SIR has stepped up and boosted its efforts in connecting with medical students by supporting IR interest groups in medical schools across the country, seeking to expose students to IR early in their career and dissolve myths about IR resident training. The SIR also funds travel scholarships for medical students and residents to attend the SIR’s annual meeting, this year in Atlanta, Georgia (Society of Interventional Radiology, 2013). The time is now for medical students and residents to take advantage of the wide-open opportunities IR currently presents them. Although there has never been a better time to practice IR, the future continues to look brighter and better for current and soon-to-be interventional radiologists. As our health care system has turned its focus on cutting costs and increasing its efficiency, IR has once more been thrust into the limelight as an answer to several of our nation’s glaring health care problems. Many already know of IR’s ability to treat many diseases more effectively while avoiding complications and the costly care that comes with them. To provide concrete evidence of this reality, the SIR Foundation has planned and launched several new research projects, including the creation and testing of standardized reporting templates for six clinical procedures often performed by IR (Spies, 2014). The SIR also established a task force to identify and prioritize data development and research needs, hoping to improve patient care and establish “a more efficient cost reimbursement system (Society of Interventional Radiology, 2013). As time moves forward, congress and the average US citizen will begin to appreciate IR as an efficient, cost effective branch of our country’s health care system, only increasing the demand for IR practitioners and the cutting-edge care they can provide. As is the status quo for IR, research into additional applications of interventional techniques continues to blaze forward, as frontline research topics in the field currently surround gastric artery embolization, prostatic artery embolization for the treatment of BPH and arterial sympathectomy, as well as renal denervation for the treatment of hypertension, renal insufficiency, diabetes, and other major health concerns (Bhatt, 2014). In 2013, the SIR also began leading a five-year multispecialty prospective study, PRESERVE (Predicting the Safety and Effectiveness of Inferior Vena Cava Filters), to evaluate the safety and efficacy of IVC filters and related follow-up treatment in 2,100 patients in the United States (Society of Interventional Radiology, 2013). 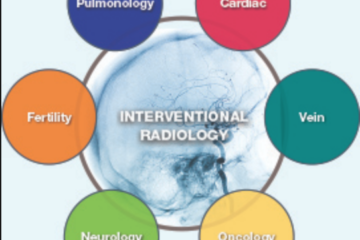 While interventional radiology is still a relatively young field, its story is already rich with exciting success, triumph over struggle, and most importantly, a tradition of helping patients in extraordinary ways. Its contribution of minimally invasive techniques to the medical community has transformed how we approach many diseases, and the standard of innovation that its professionals have created is an example to health care workers in every field. While it is a complement to see such demand for IR techniques from patients and other physicians, IR has taken large steps forward in securing its spot in providing interventional services to patients, and therefore, providing patients with the highest standard of care. With this security, IR looks to continue to blaze interventional progress forward, extending minimally invasive techniques to more diseases, and therefore, more patients. Anyone who doesn’t seriously consider IR as a part of his or her career choice is missing out on the opportunity of a lifetime. Bhatt, D. (2014). A controlled Trial of Renal Denervation for Resistent Hypertension. New England Journal of Medicine , 370 (15), 1393-401. Hol, S. E. (2013). A Message from the SIR Executive Director. Voices: Empowering IR 2013 Annual Report , p. 3. Mortimer, H. (2014). Future Focus. IR Quarterly , Summer, pp. 24-26. Murphy, T. P., & Soares, G. M. (2005). The Evolution of Interventional Radiology. Seminars in Interventional Radiology , 22 (1), 6-9. Rösch, J., Keller, F. S., & Kaufman, J. A. (2003). The Birth, Early Years, and Future of Interventional Radiology. Journal of Vascular and Interventional Radiology , 14 (7), 841-853. Society of Interventional Radiology. (2013). Advancing IR Knowledge Worldwide. Voices: Empowering IR 2013 Annual Report , pp. 11-13. Society of Interventional Radiology. (2013). Empowering IR Minds. Voices: Empowering IR 2013 Annual Report , pp. 4-7. Spies, J. B. (2014). Disrupting Our Practice Models. IR Quarterly , Summer, p. 4.